If you have been following my blog for any amount of time then you probably already know that I have rheumatoid arthritis. I was diagnosed with RA a little over ten years ago. Then a little over two years ago I was diagnosed with fibromyalgia and my whole world pretty much changed. I remember reading an article shortly after I was diagnosed with fibro and it said fibro is a painful chronic illness that leaves nothing in the body or mind untouched. I had no clue at the time how true that statement was. But over the next two years I would find out. There has been a lot of pain with the fibro and I continue to still have a lot of pain. But it’s not just about the pain. Along with the fibro also came anxiety, fatigue, insomnia, the fibro fog, and depression. I had never experienced anxiety to this level. The kind of anxiety that makes you question yourself and every thought. The kind that makes you feel like you are losing it because you know what you are thinking is crazy. The kind that sometimes keeps you from making a phone call or that keeps you at home. The kind of anxiety that you don’t want to tell anyone about because if you already think you’re crazy and losing it surely they will too. The fatigue—I never imagined I could sleep so much and be so exhausted at the same time. But having insomnia doesn’t help and between the fatigue and insomnia it is just an awful cycle that continues. I am always exhausted. Then there is the fibro fog (or brain fog). Not being able to remember things, time, or places. I know everyone says they forget things too or you know we’re getting older so we start to forget. But this is different than forgetting where you put your keys. Its’ forgetting how to do simple things like talk, finding your words or knowing how to say or spell a word. Doing simple math. But also forgetting not just part of a conversation but the whole entire conversation. Blinking and realizing half the day or hours have slipped away and you have no clue what you have been doing during that time. Were you up and functioning or just sitting there spacing off in your own little world? It’s forgetting places you have been and nothing looks familiar. Some people compare it to living with an early onset of Alzheimer’s. It’s scary. Misplacing your keys or forgetting why you walked into a room can be frustrating but it’s not scary. When you have chronic pain, anxiety, fatigue, insomnia, and the fibro fog I think depression just becomes part of the package too. Last fall I started having some problems with my left arm and I am left handed. I thought maybe I was having a flare up from the fibro but the pain just kept getting worse and worse making it very hard to do a lot of things (even create). Over the past several months I have had physical therapy, lots of lab work, tons of x-rays, two MRI’s, nerve testing, seen an orthopedic doctor and orthopedic surgeon, a new rheumatologist and had injections. Long story short I have been very disappointed in the health care system. I have had a primary doctor that didn’t want to listen to me when I asked to have x-rays done on several occasions and just kept telling me to go the physical therapy. Then when three different physical therapists told the primary doctor my arm was only getting worse I was sent to the ortho doctor to have injections. But when I went to the ortho doctor I told him I wasn’t having any injections until someone could tell me what was actually wrong with my arm. First of all he couldn’t understand WHY the primary doctor had given me a referral to him. But second and most important—he was a doctor that listened. He agreed that we needed to find out what was wrong with my arm. So he ordered x-rays and MRI’s. By this time I was also having problems with my right foot/ankle so he ordered x-rays and MRI for that too. The results from the MRI’s came back. I have tendinitis and arthritis in my foot/ankle. A few years ago I fell down the basement stairs and hurt my ankle so it is already weak and the tendinitis and arthritis just make it hurt all the more. I also found out I have arthritis in both of my knees. I have had injections on my ankle/foot and they have really helped. I will need to get them in my knees too and the rheumatologist said I will probably have to go in every few months for the injections. As for my arm I was originally told I had a ganglion cyst and that it was on and wrapped around the main nerve and artery of my arm and I would need to have surgery to remove it. I waited for two months so see an ortho surgeon. I will admit the thought of surgery really scared me because I was told there was a chance that I could have permeant nerve damage after the surgery. But on the flip side of that there was a possibility of no more pain in my arm. The day finally comes to meet with the ortho surgeon. Things did not go at all like I thought they were going to. I was told the complete opposite of everything I had been told about my arm. Yes, I do have a cyst but the surgeon said it is small and no need to operate. It is not on or wrapped around the main nerve and artery in my arm. Then I was told all of the pain I had been feeling was from the fibro. They had asked at the beginning of the appointment if I was seeing a rheumatologist and I said yes—but at a different facility that is not affiliated with where I was. They told me that they wanted me to see a pain specialist—specifically someone that deals with upper arm pain. They asked if I would agree to this and I said yes. **Side note---Something important to point out is that during all of this time I haven’t been able to get a new prescription for ANY type of pain meds. I had had a prescription for a very low dose of oxy but the prescription had run out and I have a different doctor now. Now before I get anyone telling me how bad opiates are I totally understand—I get it. That’s not what I was asking for during this time—surely there has to be an alternative medication for chronic pain—one would think. But I can’t get a doctor to give me any kind of prescription for the pain. During this time I also had a doctor put in my records that I have had a prescription for oxy for ten years! Totally not true and I can prove it if they would just take the time to look back at my records. I received my first prescription Feb 17, 2016. It was only refilled three or four times. So at the very most that is 120 pills (they only give 30 per prescription) over almost a two year period. Clearly I am NOT an addict. But I can’t get the doctor to change what she put in my file so now whenever I ask about any type of pain med they look at me like I am an addict. Ok, back to the appointment with the surgeon. I asked if there was anything I could get for the pain during the meantime while I was waiting to see this pain specialist. I again stated I was NOT asking for any opiates but was there something they could give me for the pain. It was the surgeon, his assistant, and a nurse in the room. Their response was like they had rehearsed. They all looked at me and smiled, looked at each other, smiled, and nodded and then looked back at me. Then they all stood up and the assistant said someone will be contacting you to set up your appointment. They shook my hand, wished me a good day and walked out of the room. **Another side note---the pain from fibromyalgia is caused by over active nerves. Nerve pain is some of the worst pain there is and it is hard for most people to image that kind of pain and/or living with that kind of pain on a daily basis. The best way I know how to explain that kind of pain is this---Have you ever had a tooth ache? If you have that is usually caused by nerve pain. Now think about the worst tooth ache you have ever had. It is very, very painful and you would probably do almost anything to get rid of that pain. Now image that kind of pain throughout your body and more than likely in several areas of your body at the same time. Not only does fibro pain hurt but sometimes it burns and stings too. Sometimes I have areas where it feels like my skin is burnt and I don’t mean sun burnt I mean burnt like from a fire. Sometimes even clothing, blankets or a sheet or even a gentle touch or hug can hurt. But all of it is on the inside and people don’t see the pain. Back to the appointment with the surgeon---I waited for two months to hear this—they could have told me sooner and everything could have been said over the phone. They were in and out of the room in five minutes. There was no need to have an appointment with the surgeon other than to accumulate more bills. I was so mad when I left there. Then to top it off a couple of days later I look at the surgeon’s report in the online app and it says something completely different. No mention of a pain specialist. But instead it said the recommendation is to see a rheumatologist AND that I AGREED to it! IF that had actually happened I would have said NO THNAK YOU because I am already seeing a rheumatologist that I am very happy with. I’m just disgusted to say the least!! There have been lots of other things—doctors not listening, blowing off the fibro and acting like it’s all the RA, physical therapy that was very painful and not working, wasted tests, wasted doctor visits. Then last week I received a letter in the mail from the orthopedic surgery department saying they knew I had been on a wait list for some time now for the surgery but at this time there were no available openings in orthopedic surgery but if I wanted to remain on the wait list I had to call them. What the heck??? Last week I had another appointment with the rheumatologist. He is a new doctor for me—I’ve only had one other appointment with him but I really like him. He listens and he’s been doing some tests to help figure things out. I told him what was going on with my arm and I was wondering about getting a second opinion. He listened to everything I had to say. I pulled up the other doctor and surgeon reports on my phone and he looked at all of that and said he agreed that I was right in wanting a second opinion. He said my concerns were justified and if it was him he would want a second opinion too. So he is going to get that set up for me. He asked how I was doing with the adjust meds—but I didn’t know what he was talking about. He said hasn’t your primary doctor changed you meds and I said no. He told me he had sent her his recommendations a couple of months ago after he got my lab work back. But once again—no follow through from the primary doctor. So he said he would be contacting her again and if I didn’t hear back to contact them. Well it’s been a week and I’ve heard nothing. I am currently on a wait list for a new primary doctor that deals with fibro (at a different facility). Are you still hanging in here with me and reading along? If you are God Bless You!! I know this is a long post. On the upside---I have had nerve testing done and I do not have any permanent nerve damage. Yay! I got test results back last week from the rheumatologist and my RA is in remission!! Double Yay! I have been working on changing some of the foods I eat and the portion size. I have lost 20 lbs since the first of the year. Another Yay! AND I finally found something that has been helping with the pain---I’m the most excited about this and SO, SO, SO very thankful to have found something. 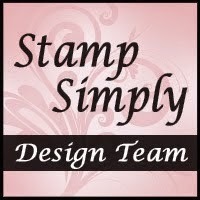 I found out about a product from a fellow crafter who has also been going through her own health struggles. 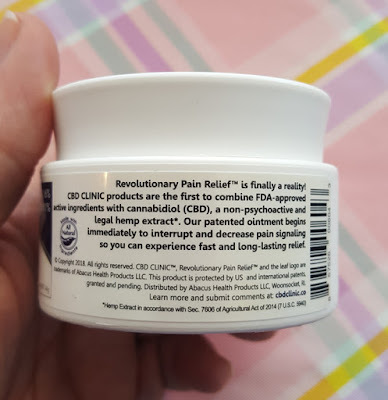 It’s an ointment from CBD Clinic. It is a combine FDA-approved active ingredients with cannabidiol (CBD), a non-psychoative and legal hemp extract. It is legal in all 50 states. I had to order it online (I found a seller on Ebay). You can’t just go anywhere to buy it and you will want to look around to find the best price because it is expensive and it is not covered by insurance. When I found the seller on ebay I looked at his rating and the comments left by other people. He has sold a lot of the ointment, has a good rating and all the comments were really good. Depending on where you buy it from the price ranges from about $70 to $120 for 44grams. Like I said it is expensive BUT it works. The relief from the pain has been worth every penny! My friend told me that it worked for her to help with the pain so I have been hoping and praying that it would also work for me. The difference is amazing and I am able to start doing some crafting and jewelry making again. I have been crafting for years and it has always been such a passion of mine and to not be able to do what you love or be very limited has been so hard. I just can’t imagine not being able to create. I have some pictures below of the container and ointment if anyone is interested. You can see it looks kind of like Vaseline and it smells kind of like Vicks. I have applied it probably 20 times so far and it takes very little. I just tap my fingers on top of the ointment and then spread it around to where I need it and rub it in good. It can be applied 3-4 times daily. 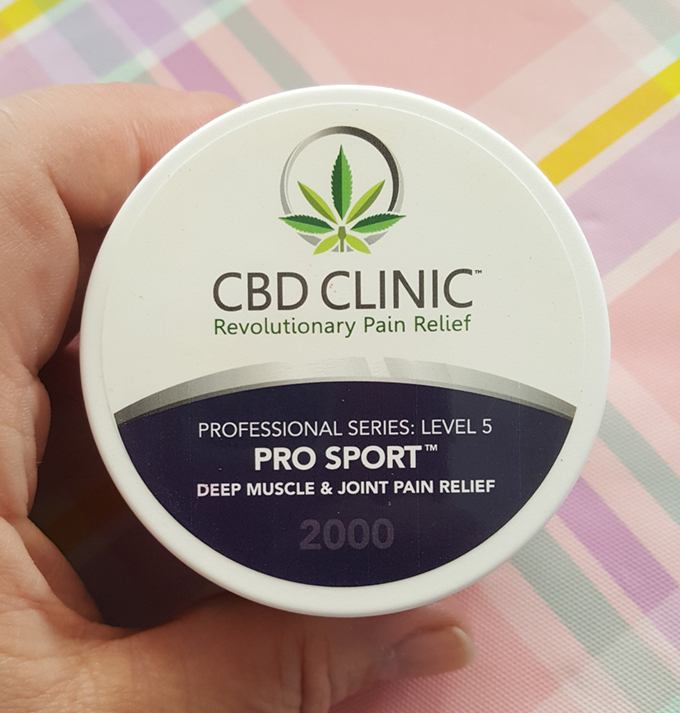 With each application I can get about six hours of relief from the pain which is fantastic! But remember to wash your hands right away—you would not want to get that in your eye. Also in the pictures you will see it says Level 5 on the container—this is important. They make 5 different levels of this ointment and level 5 is the strongest. 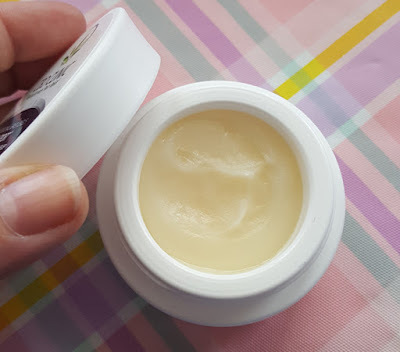 For anyone who is interested I will leave a link to the website so you can read about the ointment. Click HERE for a link to the CBD Clinic website. Through all of this my husband and family have been amazing. My husband has been very patient and understanding. Even when sometimes I am sure some of it has been hard to understand. I have a couple of amazing friends who have been there the whole way. Always willing to talk or just listen and reassure me I am not crazy and losing my mind. Well, maybe a little crazy once in a while lol. :) But they are always there for me—sometimes even in the middle of the night. I am so, so, so very thankful for them and to have them in my life. You know who you are. :) That is something I have learned—you need to have your tribe, your support system. Going through something like this you find out who your real friends are. Unfortunately, there have been people who don’t understand and don’t want to. They think it’s in your head, you’re making it up, or making excuses. There are people that get mad if you aren’t feeling good and have to cancel. Or they see you out in public and because they don’t physically “see” the pain they think you are just fine. I’ll be honest that was really hard to deal with at first and sometimes it still is. I have gotten really good at not letting the pain show when I am out in public. I have also become guarded when someone asks how I am feeling or how I am doing. After a while you begin to pick up on things and recognize if a person really truly cares and wants to know or if they are just trying to make polite conversation. When it’s polite conversation I simply say I’m doing fine and ask how they are doing because I know that’s really all they want to hear. If you are going through this please know you are not alone, you are not crazy, and the pain you feel is very real. Find your tribe. Having a good support system is so important. If you don’t like the answers from a doctor find another one. Listen to your body. If you need to sleep then take a nap and don’t feel guilty about it. Give yourself time to grieve. You might think that sounds strange—I know I did the first time I heard that. I thought grieve for what exactly? Grieve for the person you used to be. Life changes with fibro and part of you won’t ever be the same. That’s a tough one to accept and know that it will take some time to work through that. Take all the time you need---I’m still working on it. Know that everyone and their brother will come out of the wood work to tell you what you should be doing to feel better. Most are just trying to help. Take what you need and what is useful and will work for you—let the rest go. Fibromyalgia is the same but yet different for everyone. What works for some doesn’t work for the others. Medications can work for different lengths of time and then one day just not work anymore. Sometimes not eating certain types of food---diet and exercise will help. Essential oils, yoga. Fibromyalgia, is ever changing and you have to keep making the changes, push forward and keep trying whatever works for you. Try to be positive even on the rough days. Look for the good—we have so many blessings in life---appreciate them. Pray. I am hoping to be back in the swing of things soon and back to creating and posting. At times my arm has hurt so much it hurts to type. So clearly by the looks of this long post you can tell the ointment is working lol! I have so many things I want to do and create!! I have been working on some new resin projects and I have a couple pictures for sneak peeks. 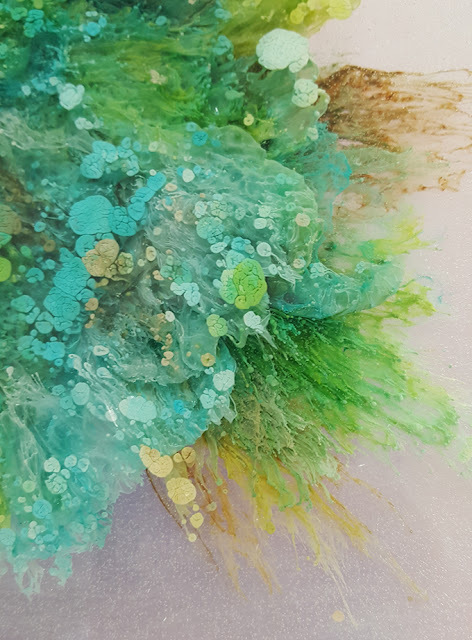 It’s a new to me resin and technique. 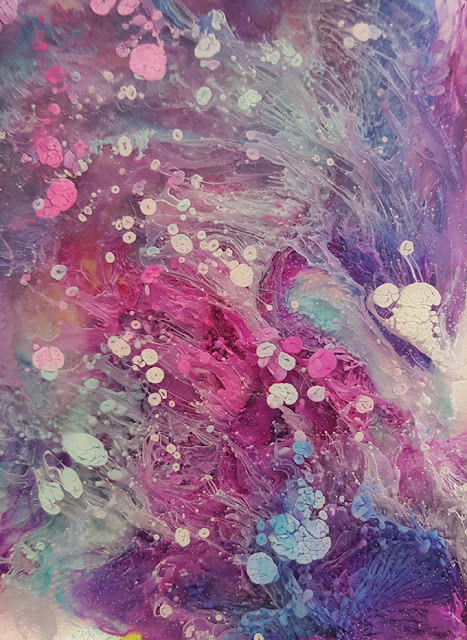 I am still using and loving ICE Resin for my jewelry but for the home décor pieces I’ve been working on I have been using a different type of resin which I’ll go into more detail when I post the projects. During the time I was away from my blog we went on vacation for spring break. We went to California and spent two days at Yosemite National Park and the rest of the week we spent in San Francisco. We had a wonderful time and it was great to get away. I needed it. Yosemite was so beautiful! Truly God’s country! San Fran was so much fun! We went to Fisherman’s Warf, Chinatown, Sausalito, Alcatraz, Golden Gate Bridge, an arcade museum and a wax museum. We had wonderful seafood, lots of sightseeing and picture taking, and great memories. The pictures are still on the camera and iPad but I’ll be sharing them soon. We also started working on some house renovations so there has been a lot going on. I am hoping to have a creative post up still this week so be looking for that. 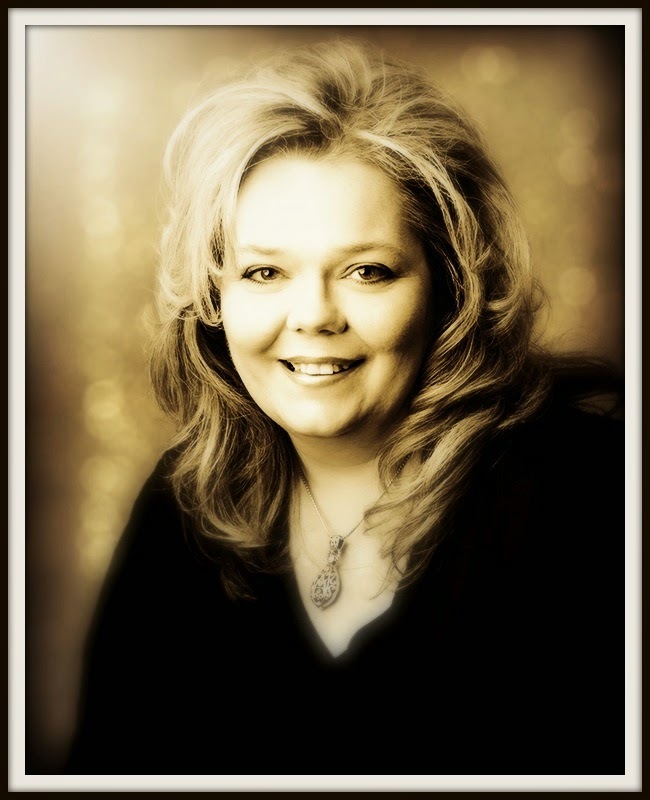 If you hung in here with me to the end---Thank you for taking the time to read this post. I know it was a long one. I’m not looking for any sympathy—I just wanted to share all of this in the hopes that maybe there is someone out there that is going through the same thing and maybe something I shared might be of some help or comfort to them. I also shared this just for understanding. Maybe you know someone with fibro and what I have had to say might help you to understand what someone else might be going through. P.S. Glad you got some time away from home and enjoyed CA. Great change of scenery! Thank you for sharing. I have missed you and have been worried. I do not have fibromyalgia but I do deal pain so I know a little of what you are going through. 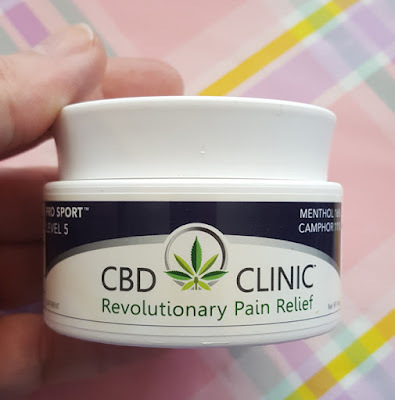 The CBD Clinic stuff was sold out on ebay and I could not find it. Amazon has something that I will try to see if it helps. Thanks for the recommendation and I am sending prayers for healing. Heidi, I totally "get you". I met you years ago at CHA; you were demo'ing dry embossing for Spellbinders. At any rate, I was diagnosed with fibromyalgia in 1992; many people applauded my GP doctor for being so current. At that time, very few doctors were familiar with fibro. I've been through it all and still do, but not as bad. I didn't quit work but I made it a priority not to get into high stress situations as much as possible. Since retiring, it has helped immensely; stress is a real trigger. I also take a lot of anti-inflammatory supplements, i.e., GOOD fish oil, turmeric, and eat foods that are anti-inflammatory. I did take Aleve and when I went to a rheumatologist, he put me on a prescribed dose of it and it didn't agree with my kidneys so I cannot take it anymore -- be careful. I rest when I need to and not ashamed to take a nap, nor find myself in bed for most of a day every once in a while. It's better than finding myself in bed for several days. I had a year and a half of being in bed most of the time; getting up to brush my teeth was monumental and then take a shower; I returned to bed within 3 hours. I've not done the drugs they show for fibro because of effects to the liver. You might want to check with a naturopath. Your experience with the orthopaedic folks doesn't surprise me at all; it seems to be part of their bedside manner to be distant, lack empathy and listen. I am fortunate to have just found a wonderful practice 3 years ago. You want an internal medicine doctor who understands fibro, and is proactive for you in sending you to the proper specialists as needed. Don't settle for less. There are a few other problems that fibro brings to your life that weren't mentioned -- it is kind of "go with the flow" and figure it out as best you can. If you ever want to talk, let me know. I've been there and still there but better. John Creighton Petersen is a good friend and lives 10 miles from me. Blessings and be good to you. I haven't read your whole article, but from the part I got through, I just wanted to wish you better days ahead. Thanks for all you have shared with us, your creativity, your caring, and your trials too. Best wishes. Sweetie.....hang in there.....find the right Dr. who will LISTEN and HEAR you! No one should have to put up with a BAD Dr! Put YOU first for a change......it isnot selfish to do so.....remember the Bible says " treat your neighbors as thy self......".....think about that...it does NOT say treat them "better"! Most women put everyone else first....new mantra....myself first! Love, light and prayers, my friend. I can empathize with you. I have suffered from severe idiopathic neuropathy for over 25 years in my feet and legs and it is now starting in my hands and fingers. I have no feeling in my feet except for severe burning, pins and needles and if I bump my toes or feet just slightly, it is just horrific pain. Walking is a chore and I am a huge fall risk. I have finally found a light at the end of a very long dark tunnel and you may want to also ask a Pain management doctor about this for you as well. It is call DRM STEM management. They insert electrodes to certain nerves on your spine and it sends electric pulses to your pain points. You can then adjust the strength of the pulses via app on an iPad (at least that is what I will be using), they will give me an iPad with the app pre-programmed on it. I did a week-long trial and I immediately noticed a difference in my pain levels and even had some feeling in my feet that I haven't had for in forever! It was absolutely amazing! I will be having the implant done in the next few weeks and the promise of actually getting off my meds that I have been on for 25 years. Thank you so much for sharing this info for us. You are very correct in saying that most people can't or won't understand what you or others could be going thru and debilitating it is, not only physically, but mentally to go thru a long term illness like this. You really do think you are losing your mind. I especially liked what you said about grieving, I had never thought about it in those terms, but it is so true. These illnesses affect how we are and how we have to learn how to see ourselves again. Keep moving forward as you have, and hopefully you will find some peace and relief (on the good days) from that horrible, life altering pain. Remember to enjoy the little things, (that really helps me) and just breathe and take each day as it comes. Good luck in your life journey, and enjoy your crafting and creating when you are able to do it!